Why hello dearie! Peter Dinklage might be moving from the pages of A Song of Ice and Fire to actual fairy tales. A new report says Sony is developing an adaptation of Rumpelstiltskin, with Dinklage set to star. 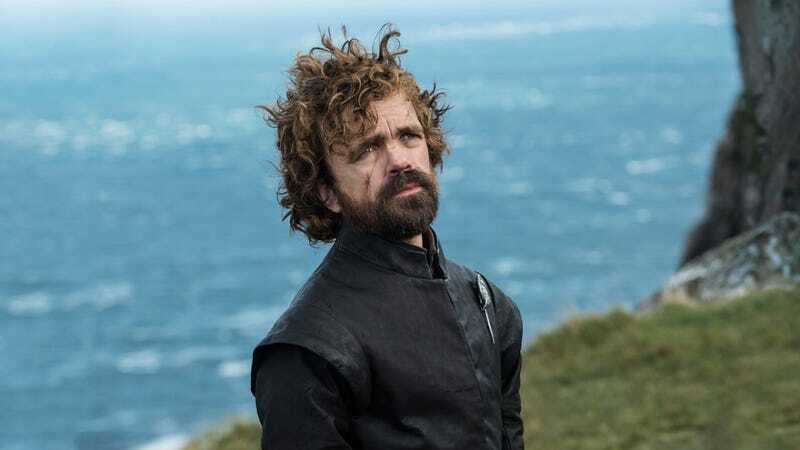 According to Variety, Dinklage is very interested in working on this film, though it most likely won’t be his next project after Game of Thrones ends in 2019. Dinklage would star as Rumpelstiltskin and produce the film, along with Matt Smith (not that one), David Alpert, David Ginsberg, and Josh Weinstock. Patrick Ness (A Monster Calls) is writing the script. We’ve seen several versions of Rumpelstiltskin over the years, most recently Robert Carlyle’s performance as Rumple on Once Upon a Time (need I remind you, Rumpel was the absolute worst). This one looks to be based on the classic Brothers Grimm fairy tale about a woman who makes a deal with a mysterious being named Rumpelstiltskin in order to save her life—though it later costs her more than she bargained for. There’s no other details at this point as to what form the film would take but the ending of the story, like many of the Grimm fairy tales, isn’t very family friendly. I say go for it, Dinklage—give us the fairy tale adaptation we’ve been waiting for. Super violent and depressing.